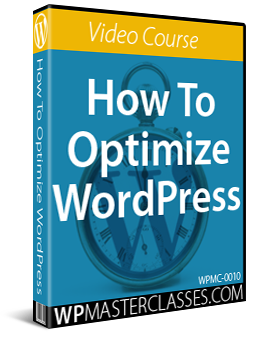 This tutorial was created using an earlier version of WordPress. To be notified of content updates, subscribe to our updates list (see sidebar), or Like our Facebook page. As time goes by, you may find that a number of things can happen to pages on your site. 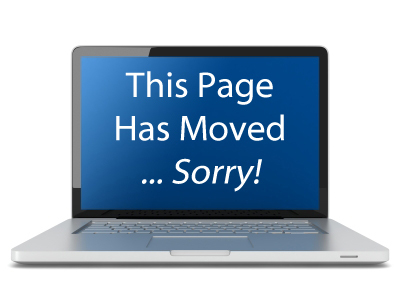 When pages (or entire sites) get moved around, links to existing URLs can end up broken, leading to 404 error pages displaying to visitors, instead of the content they came to your site looking for and expecting to see. This works, but it’s inconvenient for your visitors, and could lead to people clicking away from your site. In WordPress, there is a much better and “seamless” way to do this. Why not automatically redirect your visitors (and search engines) to the new location? Proper link redirection helps search engines to re-index your pages and posts and maintain your search engine ranking. In this tutorial, you are going to learn how to redirect the URL of an old WordPress site or a post or page on your existing site that has been moved to a different location and automatically point visitors and search engines to any page, post, or external website URL of your choice using free WordPress plugins. 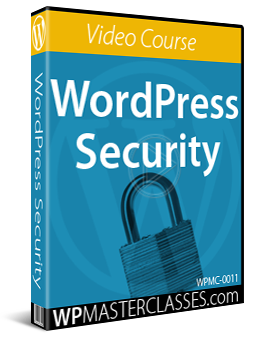 We’ll also look at different WordPress plugins that essentially do the same thing but range from being very simple to quite advanced. In the above screenshot, no plugin is necessary. You would simply change the page template to a ‘Redirect Page’ template, then specify the URL to automatically redirect visitors to in the ‘Redirect Options’ section of the page settings. 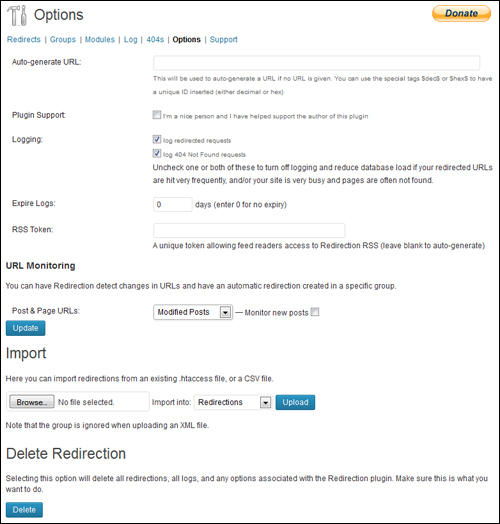 Redirection plugins are useful if the current WordPress theme you are using does not support built-in page redirects. 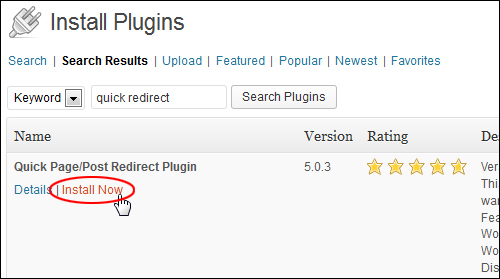 Let’s take a look, then, at how to redirect posts and page URLs using redirection plugins. 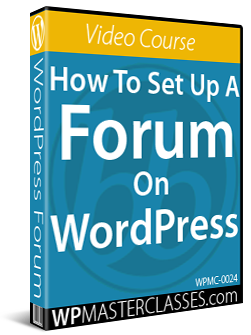 This plugin allows you to make a WordPress page or post link to a URL of your choosing, instead of its WordPress page or post URL. It also will redirect people who go to the old (or “normal”) URL to the new one you’ve chosen. There is nothing to configure for this plugin. See the section below for instructions on how to use the plugin. To redirect visitors from this page to another URL, select ‘A custom URL’, and enter the full address of the destination URL. Enable the ‘Open this link in a new tab’ checkbox if you don’t want visitors to leave your site after being redirected to the new location. Remember to update your page to save your settings. Once your page is republished, visitors clicking on any link pointing to this page will be automatically redirected to the new URL location. The ‘Page Links To’ plugin lets you set up simple, basic URL redirections. Let’s take a look now at another redirection plugin that offers a number of additional features. This plugin lets you redirect individual Pages and Posts to another page, post or external URL. You can also set up ‘Quick Redirects’, which let you specify URLs to be redirected without having to create a post or page. This is useful if you have links from an old site and need to have them redirect to a new location on the current site, or if you have an existing URL that you need to send some place else and you don’t want to have a Page or Post created to use the other Page/Post Redirect option. This plugin has a number of other useful features, which we will cover in the ‘Plugin Usage’ section of this tutorial. This tutorial focuses on showing you how to set up quick URL redirects on your WordPress site using a plugin. 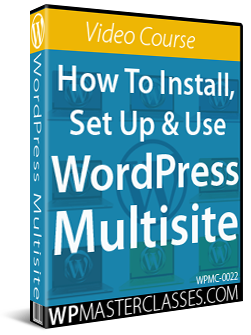 It is not meant to provide a detailed user manual covering every aspect of the Quick Page/Post Redirect Plugin used in this tutorial. For help and detailed FAQs on using the Quick Page/Post Redirect Plugin, see the ‘Plugin Help & Support’ section at the end of this tutorial. 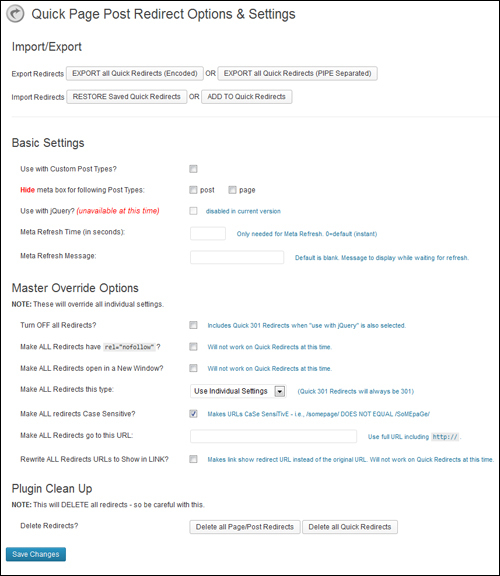 Note: Individual page/post redirects can be exported with the actual post/page meta data if you export/import the post or page items through the WordPress import/export feature. Use with Custom Post Types? Enable/disable checkbox to allow redirection of custom post types. Hide meta box for following Post Types: Enable/disable checkboxes to hide meta box on posts and/or pages. Meta Refresh Time (in seconds) – Lets you specify a delay in seconds between the redirected URL and the new destination URL that visitors are being sent to. This is useful if you want to post an announcement or message to visitors before redirecting them (see next option below). Enter ‘0’ into this field to instantly redirect the page. Meta Refresh Message – Enter a message to display to visitors while they wait for the page to refresh. Only do this if you set a meta refresh time in this section other than ‘0’ (i.e. instant redirection). Turn OFF all Redirects? 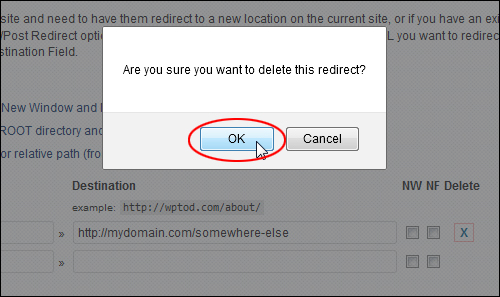 Check this box to disable all redirects at once. Make ALL Redirects open in a New Window? This is useful if you are redirecting visitors to an external URL location and you want to prevent visitors from leaving your site after being redirected. Make ALL Redirects go to this URL: Specify a URL in this field where all redirected pages will send visitors to. Rewrite ALL Redirects URLs to Show in LINK? Makes link show redirect URL instead of the original URL. Select 301 Permanent if your new page has permanently moved to a new location (this lets search engines know that there was a page here once, but it’s now moved to a new location and instructs search engines to update the old link so future visitors won’t have to go through the same redirection process). Select 302 Temporary or 307 Temporary if your redirection is only temporary. This will tell the search engines to keep your old link indexed because some day the page will return to the old location. There is only a slight difference between a 302 and a 307 status, so unless you know why you need a 307, stick with a 302 for temporary redirects (this is the default option). If you experience issues with the redirects, try using the Meta Redirect option. The meta redirect actually starts to load the page as a 200 good status, then redirects using a meta redirect tag. Check Make Redirect Active (check to turn on) to activate the feature for this post/page. Check Open redirect link in a new window if you want the destination page to open in a new window, otherwise, leave this box unchecked. Check Add rel=”no follow” to redirect link if you want to instruct search engines that your target hyperlink should not influence the link’s ranking in the search engine’s index. For an explanation of what the “rel=nofollow” attribute means click here. 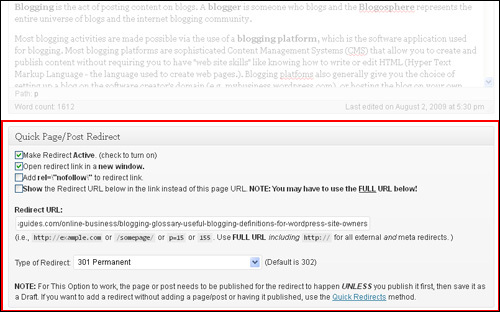 To learn more about using “rel=nofollow” in your hyperlinks click here. Check Show the URL below in the link instead of this page URL if you want any existing links on your site to point to the new URL instead of the old one. This feature is useful if the old page appears in any links throughout your theme. Leave this box unchecked if you don’t need to use this feature. Redirect URL: Type in the destination URL into this field. Select the Type of Redirect from the drop-down menu (temporary, permanent, or meta). Publish (or update) your page for the redirection to work and then test by entering the original location URL of your post or page into your browser. You should be redirected to new destination URL. To change settings for a redirected post or page (e.g. 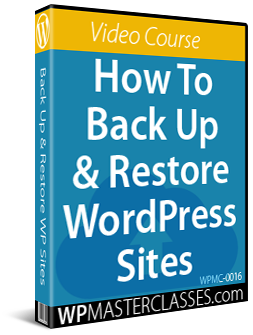 disable redirection or change the URL to something else), log into WordPress, go to your Posts or Pages section, locate and edit the item, then republish to update your post or page with the new settings. 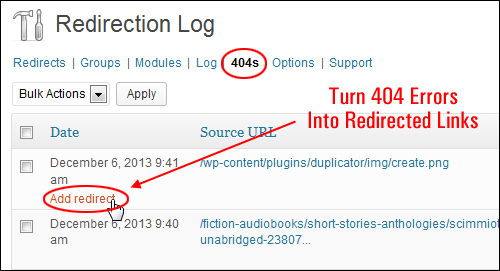 You can also set up a redirect without creating a page or post, by using the plugin’s Quick Redirects option. Note: A 301 Redirect tells search engines that links have been permanently moved to another location (see the ‘Quick Guide To Status Codes’ section earlier). Therefore, you should only add 301 links to this section. Your Quick Redirect link will be deleted. 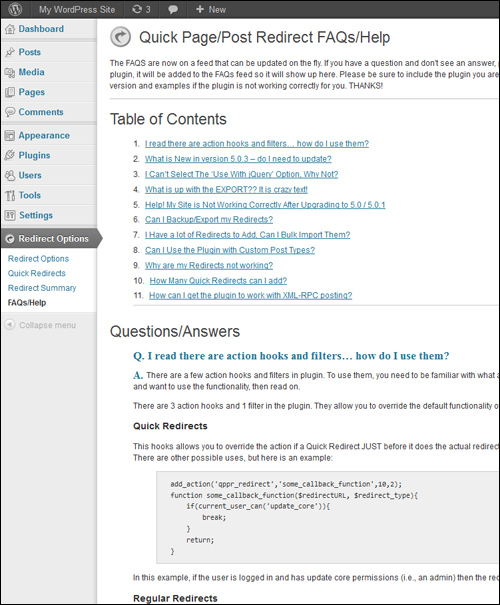 The plugin author has also posted an excellent FAQ Section that explains the plugin features in more detail and provides troubleshooting information. 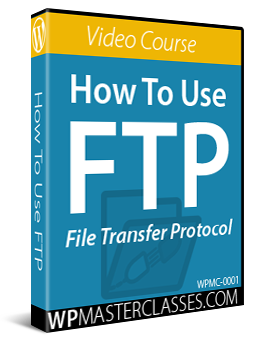 Refer to the plugin FAQ page for more details on how to get the most out of this great plugin. Let’s take a look now at another redirection plugin you can use to not only redirect posts and page URLs, but also perform a number of advanced link management features. 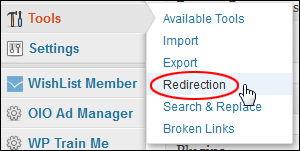 Redirection is a WordPress plugin that lets you manage 301 redirections, keep track of 404 errors, and perform a number of other link management functions. This plugin is useful if you are migrating pages from an old website, or changing the directory of your WordPress installation. This tutorial focuses on showing you some of the main features and benefits of using the Redirection plugin. Although this plugin offers sophisticated link redirection tools and management options, it also works great ‘right out of the box’ (see ‘Plugin Usage’ section below). In this section, you can modify the default settings, automatically add a 301 redirection when a post’s URL changes, set a time to expire your logs, upload and import redirections from other files, and delete all existing redirections on your site. For now, just leave the default settings for this section as they are (make sure the ‘Logging:’ options are enabled). 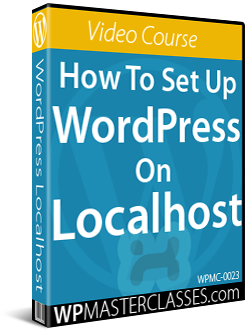 See the plugin’s site for more details about configuring some of the options on this page. As mentioned above, this plugin works great right after installation. The Redirection plugin is great for managing a large number of redirections (such as when moving an entire site to a new domain). Essentially, a module consists of many groups, and each group consists of many redirections. A module determines how the redirections will be used, and a group allows you to separate redirections into logical units. A redirection represents an action performed when a particular URL is accessed. 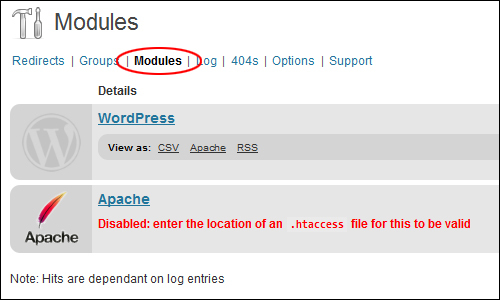 The WordPress module uses WordPress to implement redirections. 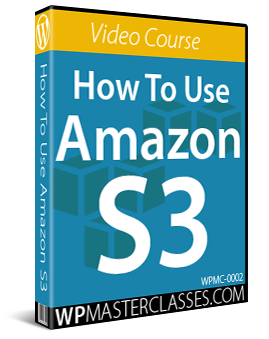 This means it works for all permalink-enabled sites and so has the greatest compatibility. The Apache module uses Apache to implement redirections. This means that each redirection is written to an Apache .htaccess file, giving you better performance than the WordPress module, at the cost of less compatibility and less flexibility (some features, such as redirection statistics, are only available from the WordPress module). Separate from these is the 404 error module. This uses Redirection to keep track of 404 errors. A group is a logical collection of redirected URLs. You can create as many groups as you wish, and groups can be re-ordered. URLs are matched based not only on the order in which they occur within a group but the order in which groups occur within a module. The main idea behind Redirection is that you create several URLs that you want to redirect. These URLs are placed within a group, which in turn is placed within a module. 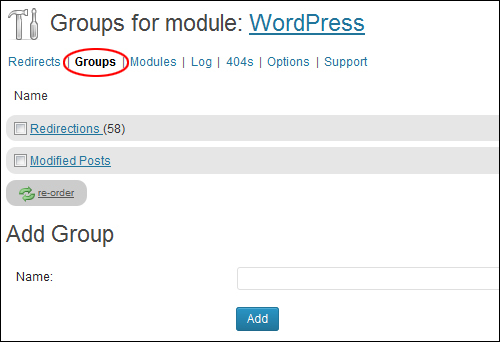 The module determines how the URLs are redirected, and the group allows you to logically organize the URLs. Source URL: This is the original URL that you want to redirect somewhere else. 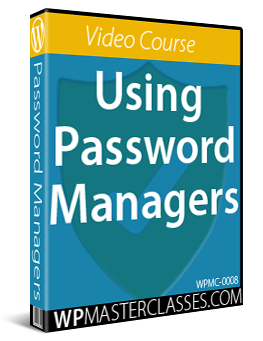 The plugins described in this tutorial are useful for setting up permanent and temporary redirections to different URLs. This is useful for links that would normally lead to error pages, or pages that have moved, or that have been deleted. 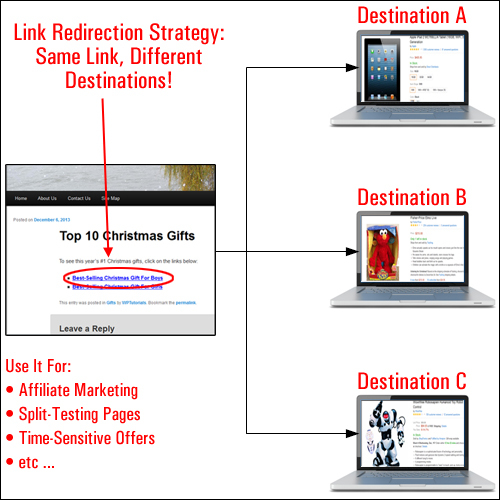 Now … what if you want to set up redirection links inside your content that lead to any URL you specify, such as an affiliate offer, time-sensitive special offers, or split-testing different destination pages? Let’s say, for example, that you provide product reviews on your site and you decide to set up a section on your home page linking visitors to a destination page or websites that can change depending on popularity, seasonality, etc. Examples of this are things like the current “best-selling toy”, or “wine special of the month”, “editor’s recommended choice”, “featured member profile”, etc. Instead of having to edit your page every time you want to make a change to your link, you could just set up an anchor text with a link redirection. This way, you can change the destination URL of your link without having to edit your pages. Since Redirection is aimed more at setting up 301 (i.e. permanent) redirections, you could use a plugin like WP Cloaker, WP Auto Affiliate Links, or an advanced link redirection and link management tool like Trackerly for setting up ‘cloaked’ redirection links in your site that can be managed externally. Trackerly is a powerful link redirection service that integrates with WordPress and lets you set up advanced link redirections for many different marketing purposes. You can track multiple redirection campaigns, split-test multiple offers (i.e. send visitors to different destination URLs using the same redirection link), set up links that expire at a specified date and time or after a certain quantity (great for scarcity or limited time offers), shorten long URLs, create tiny URLs for posting to Twitter, mask affiliate links, set up QR Code redirections, and more. With Trackerly, you can create an advanced redirection link pointing to any destination link (or links, if performing split-tests) you want, then simply paste the redirection link into your content. 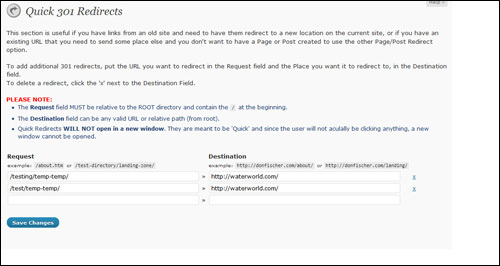 Or, if you want to redirect the entire page, paste your link into the URL redirection field of one of the redirection plugins covered in this tutorial. Trackerly is a professional link redirection management tool that goes beyond what most other redirection software can do. It is a robust and well-supported tool provided as subscription-based SAAS (Software As A Service) that will give you complete control of all your link redirection needs. Apply for the affiliate program you want to promote. While your affiliate status is being reviewed, create a redirection link in Trackerly using the actual website URL of the product or service you plan to promote (i.e. the link without an affiliate ID). 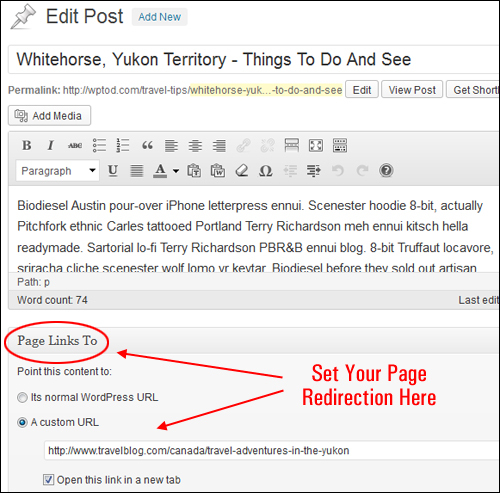 Add this redirection link to your content. This way, you don’t have to wait until your affiliate status is approved before publishing content pointing to the site you are promoting. As soon as your affiliate status is approved, go back into your Trackerly control panel and update the link with your new affiliate link. All instances of your redirection link will update with the new destination URL containing your affiliate ID. We have used this tool for many years (since it was first released) and we use it on a daily basis to manage thousands of redirect links across all of our domains. 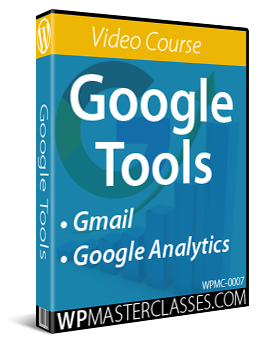 There is probably no other link redirection software on the market that is as feature-rich and comprehensive as this one. Congratulations! 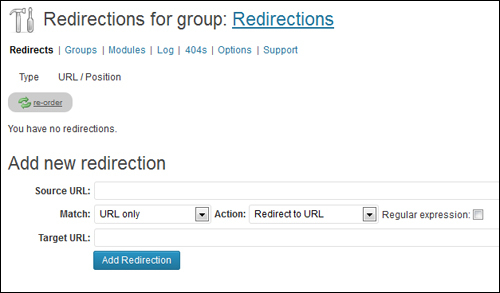 Now you know how to redirect links in WordPress using link redirection plugins.